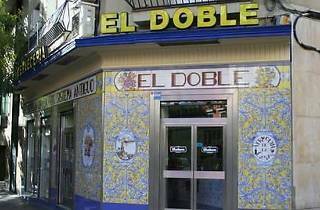 An obligatory stop on any bar crawl in Madrid. 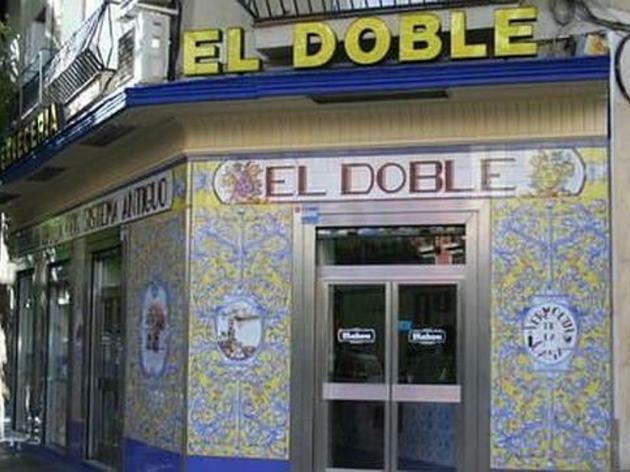 Word is the best draught beers in town are poured here (order a 'caña' to get one), and maybe that's why El Doble's fame has spread throughout the Spanish capital, and why both the bar and its surroundings are always bustling. As the name suggests, they serve cañas that are double in size of those you'd get elsewhere, and they're always accompanied by a delicious tapa at no charge. The walls are decorated like a traditional tavern with a bullfighting motif and blue and white tiles, dotted with photos of celebrities who have stopped in for a drink. It's the perfect place to have a few beers with friends or to start a big night out.